The Scottish designer Sylvia Chalmers was a contemporary of Lucienne Day. Chalmers was a student at the Glasgow School of Art in the late 1940s. She moved to London in 1951, where she designed fabrics for Heal's. She won three medals for her textiles designs shown at the Milan Triennale in 1954. 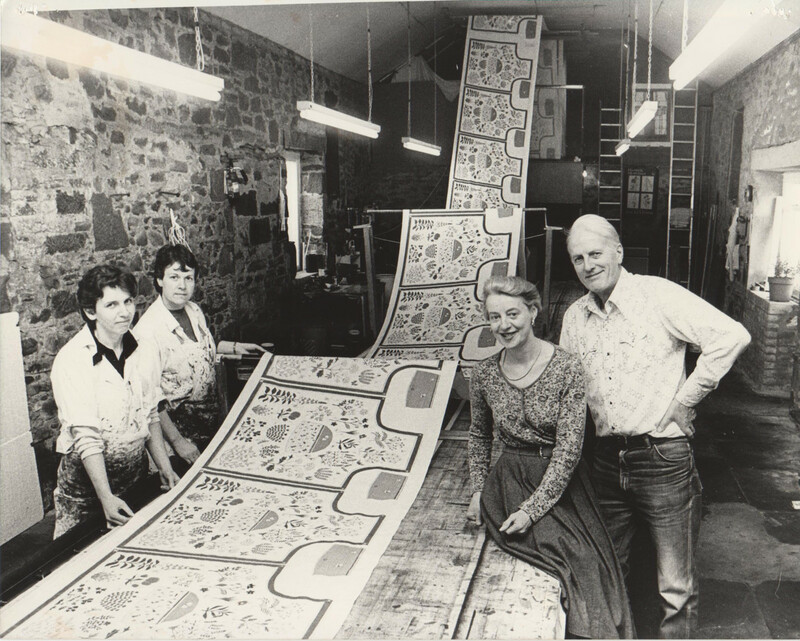 In 1955 she founded her textile printing company in Scotland, Tuar Fabrics, which she ran for over 20 years, often selling her textile designs for fashion use to Elizabeth Eaton. In 1976 Chalmers purchased Blacknest House at Thornhill in Dumfriesshire and converted the out-buildings into a design and production complex. In recent years twelve of Chalmers' textile designs from the 1950s and 60s have been digitally reproduced by the Centre for Advanced Textiles at Glasgow School of Art, making her designs available to buy once more. Her influential and distinctive designs have been discussed in several recent publications including "V&A Pattern: The Fifties" (2009) and "Twentieth Century Pattern Design" (2011).